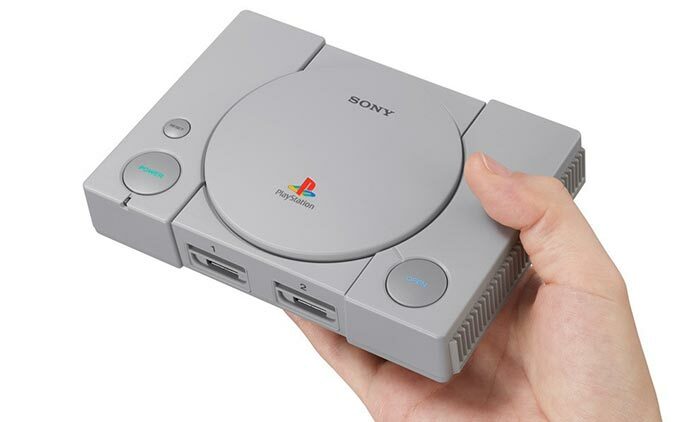 It is interesting to see Sony's efforts to cash-in on the retro mini console craze with the current rolling reveal of the PlayStation Classic mini console. This mini PS1 tribute with 20 pre-loaded games, HDMI/USB connectivity, and a dummy CD drive will arrive on 3rd December, just in time for Xmas, and carries an MSRP of £89. The console was officially unveiled in September, and then we got to see the full games list just before the end of October. In recent days there has been some more news about this upcoming retro console; issues concerning the games 'ROMs' that come pre-installed, some early reviews, and some more techy news which involves a console teardown. It has come to light that the new PlayStation Classic contains an odd mix of NTSC and PAL titles. If you remember the old cathode ray tube gaming times there were advantages and drawbacks with either format; PAL had a higher resolution but a slightly slower max refresh (50Hz), and NTSC had fewer pixels available on screen but operated at a faster refresh rate (60Hz) (and there were other subtler differences). Often PS1 titles were developed for NTSC systems and then ported to PAL. Some developers didn't spend much effort during this endeavour and the result could be black bars at the screen edges, for example. Given the clean slate of the PlayStation Classic and everyone expected to have 60Hz capable HDMI TVs nowadays, one might expect for Sony to select just NTSC edition games but it hasn't. According to The Verge, even US customers are presented with a hotch-potch of NTSC and PAL titles. Nearly half of the titles (9 out of 20) were discovered to be PAL editions. It seems a bit odd why this is so, but The Verge theorises that Europe got titles later and sometimes they would include various patches for stability thanks to the time available between launches. EuroGamer / Digital Foundry has taken the opportunity to tear down a Sony PlayStation Classic ahead of availability. The initial expectation that the console might make use of the PlayStation Vita SoC - "a proven performer for original PlayStation emulation," has been disappointingly dashed. 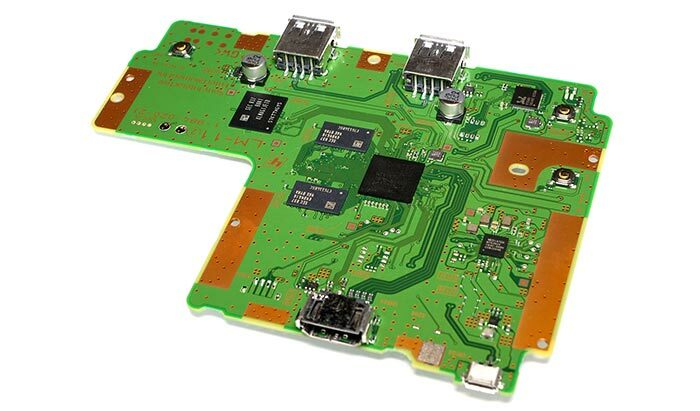 Instead Sony has employed a MediaTek MT8167A SoC which uses a quad-core ARM Cortex A35 running at 1.5GHz paired with a PowerVR GE8300 GPU. The source report says that the chosen SoC plus 1GB of DDR3 1866MHz memory is plenty to deliver full speed PS1 emulation. It is the same SoC used in the value Acer Iconia One 10 tablet, it is observed. For games storage it was noted that 16GB of flash storage is onboard. If you have ever emulated the PS1 on your PC or Android device you might be interested to know that Sony is using an ARM port of the open source PCSX ReARMed emulator. Unfortunately, Digital Foundry hasn't had time to get round to testing how well the Sony PlayStation Classic runs the games but it promises to review the console in more depth soon. Kotaku's brief review of the console summed it up as a bare bones but accurate experience. Meanwhile, GameSpot's recently published review video, embedded below, is also rather downbeat. Save money and emulate it on a Pi then? The Pi's A53s are more powerful than the very low end A35s in this. OTOH this has 1GB of fairly decent DDR3 memory, 16GB eMMC, comes with a case and some useful buttons, if you can get a Linux onto it. Buy it for the case, replace the internals with a PI. Disappointing really, I could just purchase a second hand full sized ps1 off ebay for less and then convert it into an emulation device that would do far more than just ps1 games. 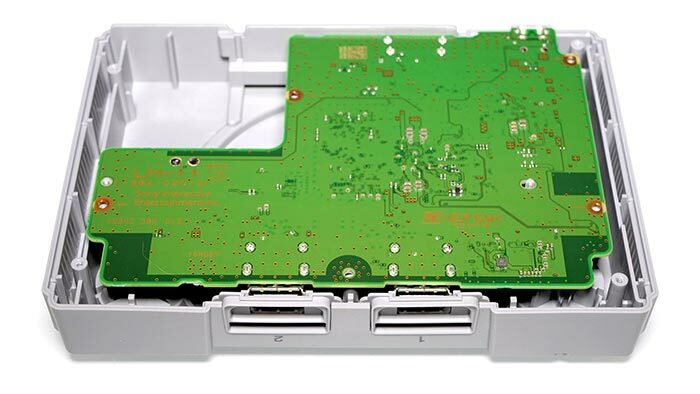 Also if I hollow out the controller ports and put usb there (a bit like what they have done with the mini anyway), it could even then take official XBOX360, XBOX 1, DS3 and DS4 controllers.